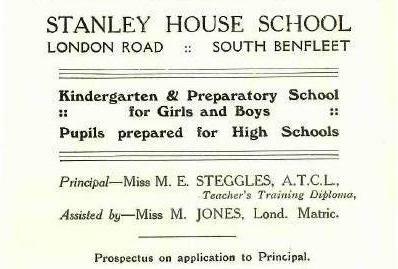 Stanley House School, was advertised in the Benfleet Urban District Council brochure in the early 1930s as a “Kindergarten and Preparatory School for Girls and Boys”. 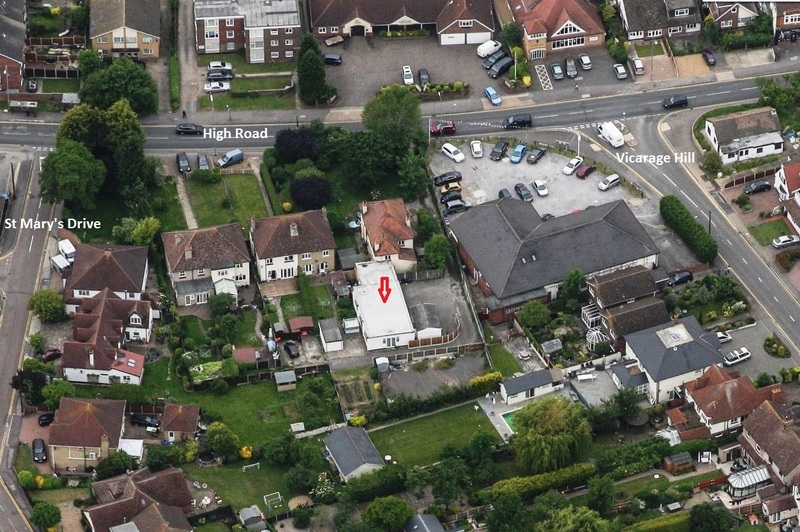 The address was given as London Road, Benfleet (the former name for the High Road). The Principal of the school was Miss Monica E. Steggles. Little is known of the school and few photographs exist. A search at the Essex Records Office proved fruitless. 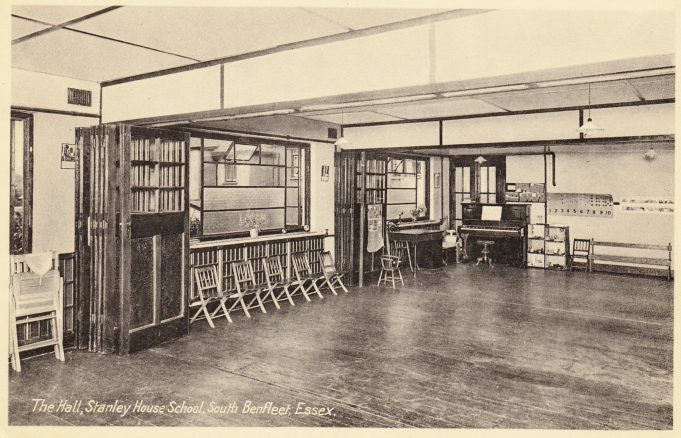 An archivist informed me that, at that time private schools would come and go not leaving behind any records, so it was rare to find any documentary evidence of their existence. 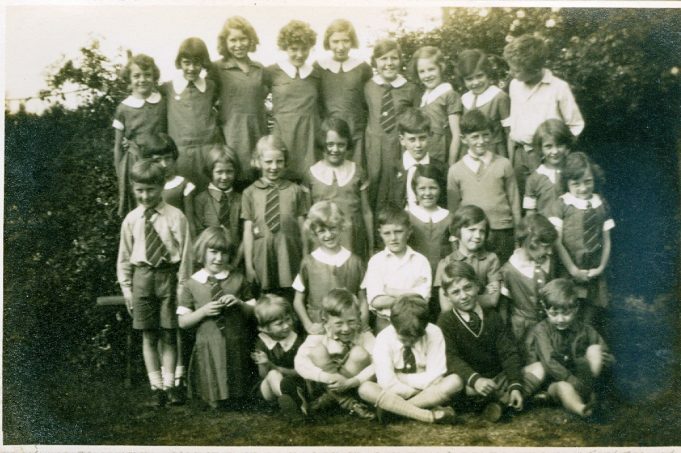 However, a past contributor to this site, Julie Summers, has provided us with some class photos, some of which show Julie’s mother-in-law, Audrey Martin, a former pupil of Stanley House School. Julie has identified Audrey in some of the photos but many of the faces are unknown. 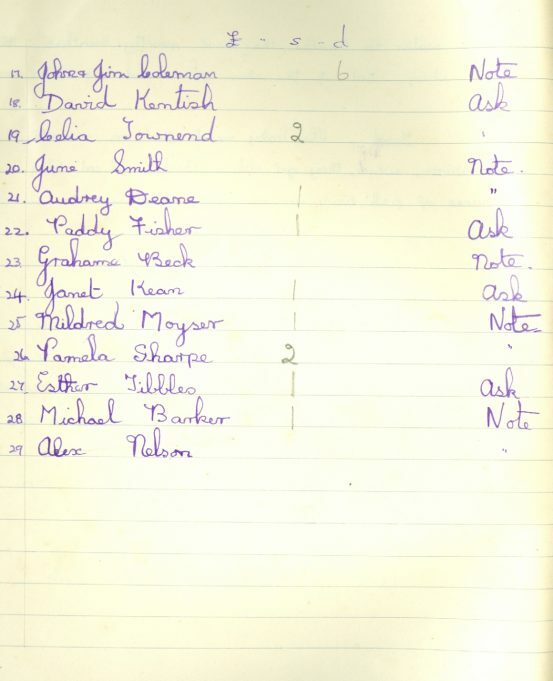 In one of the school books are the names of several of the children who attended the school at that time. 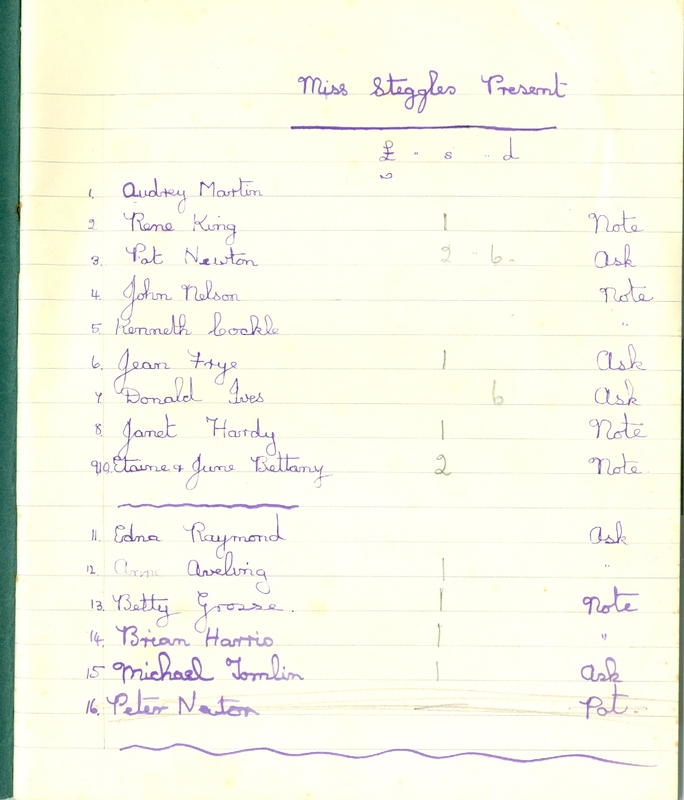 School reports belonging to Audrey show that for at least three terms prior to the school locating to the London Road premises, lessons were initially held at the Old Vicarage. Paddy Marrison remembers many of the names in the exercise book but cannot identify the faces. 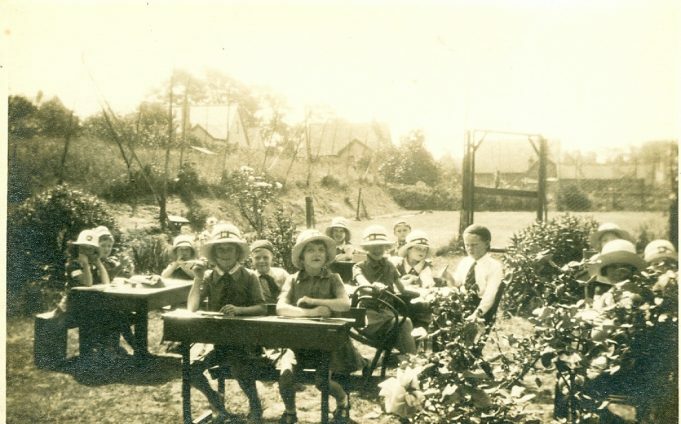 Paddy recalls some of the pupils: Michael Tomlin was the son of the Tomlin family who owned the butchers in the High Road; Michael Barker’s father was secretary of Boyce Hill Golf Club; Brothers, John and Alex Nelson came from Canvey Island; Mildred Moyser was a dancer. Janet Kean was the daughter of the Manager of the local Barclays Bank and June Smith was the daughter of the Smith family who lived in Greenwood Avenue and owned Smith’s wood yard. Paddy also remembers that her Uncle, Geoff Haynes, was allowed to use the school hall to lay out the plans of a boat he was in the process of building, the floor of the hall being ideal for such work. Betty Matson, whose sister Joan worked at the school for a short time, has named one of the boys in the photo as Christopher Gardner, son of the Reverend Gardner the Vicar of St. Mary’s Church at that time. Betty is fairly sure that the teacher in the classroom photo is Miss Monica Steggles. Records show that Miss Steggles was born in Somerset on the 28th May 1903 to Frederick and Jane Steggles. The 1911 Census shows that at the age of 7 her family were living in Dovercourt, Essex. At this time Monica has two sisters, Christine aged 4 years and Honor aged 2 years. Some 20 years later Monica is living in Benfleet but it is unclear if her family moved with her. Further evidence shows that in 1958 Monica’s address was Haberdashery, London Road, Leigh on Sea and from 1968 to 1981 Acacia Drive, Southend on Sea. Monica died in 1986 aged 83 and at that time was still living in the Southend on Sea district. The school work undertaken by the pupils and in particular two school magazines called ‘The Venture’ give an insight into the lessons of the day. (Both magazines are available to read in gallery format by following this link). If anyone can provide us with further information or photos on Stanley House School, please contact us by email: info@benfleethistory.org.uk or via the comments section at the bottom of this page. Postcard 3: The extension as viewed from from the rear. c. mid 1930s. This extension can still be seen today on the map at the bottom of this page. 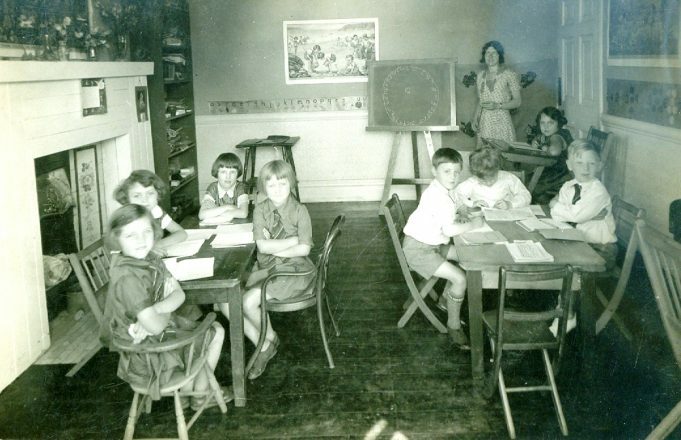 A class photo showing Miss Steggles and seated at the desk next to the teacher, Audrey Martin. 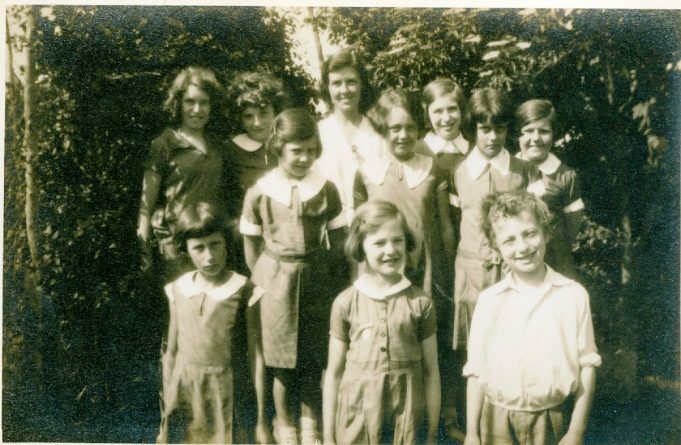 Group photo - Audrey Martin is in the centre of the middle row, she is wearing a dress with a large white collar. The young man far right in the back row is possibly Christopher Gardner, son of the Reverend Ralph Gardner. This smaller group photo shows a teacher, probably not Miss Steggles but who is she? Front row far right is Christopher Gardner and Audrey Martin is the young lady in the middle row in the centre. That seems to be the right place. My sister remembers the church. She says they went to Miss Howship’s private school. They caught the bus there from Tarpots Corner, she seems to think it was in Hadleigh or thereabouts. If you and your family have memories of Hadleigh, we also have a sister site covering that area. I had a quick look and found several pages with references to Miss Howship. Click on Hadleigh and Thundersley and then there is an option to search where you can type in ‘Howship’ and all pages where this lady is mentioned will be highlighted for you to view. I was born in Highlands Nursing Home, Essex in 1945. 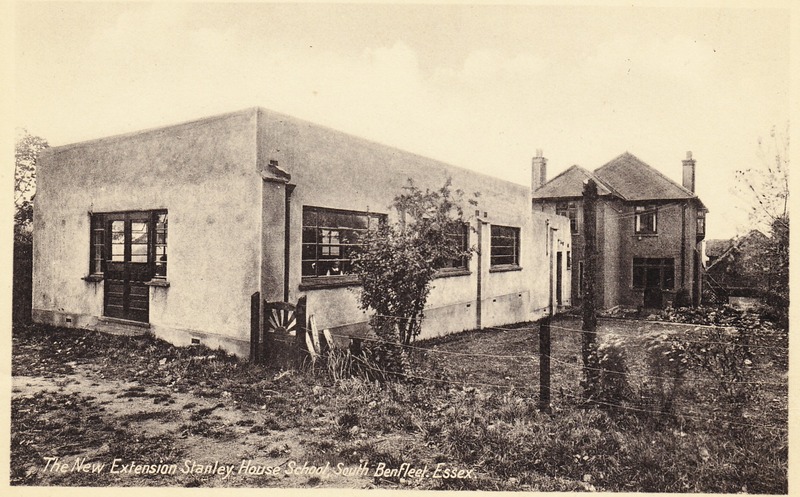 At 8 months old my family went to live with my granny at Stanley House, when she died we moved back to Tarpots. My parents owned a shop on the corner opposite the ATC Hall. My mum catered for the dances held there. 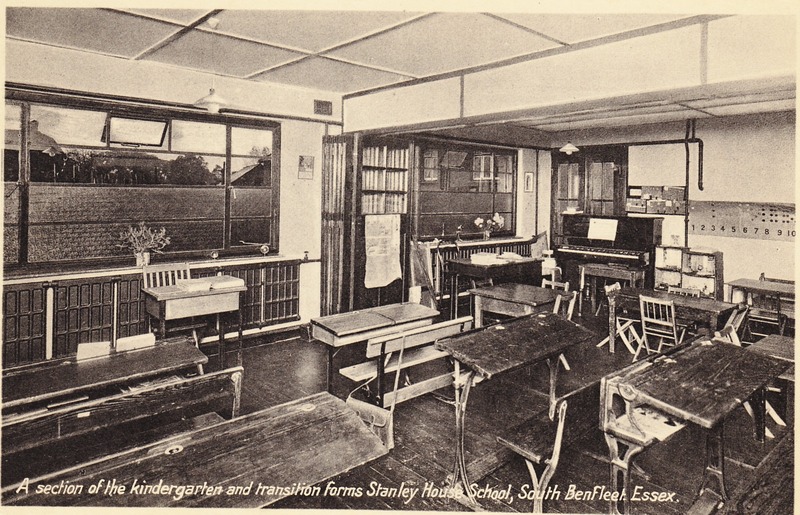 Do you think this was the same Stanley House as the school? Ours was on the Benfleet/Tarpots Road. We emigrated to New Zealand in 1952. The house was still there when my sisters came back to the UK 8 years ago. I think it is quite likely the same house. We have a page on this site regarding house names/numbers and Stanley House is recorded as now being numbered 46. Perhaps you or your sisters can recall whether the house was quite close to St Mary’s Church. In fact, from the front windows I think you may just be able to see the church and churchyard.